← FREAKING AWESOME (almost) Friday! I cannot tell you how much my family and friends are loving these! In fact, rumor has it, that a certain family has Shabbat dinner SOLELY to use their new challah cover! Whatever works, right? H’anyways, when I first posted about these, Diane’s website, Temple Treasures wasn’t up and running yet. It is now though!! Go look around, she’s got some GREAT stuff and Passover is just around the corner! 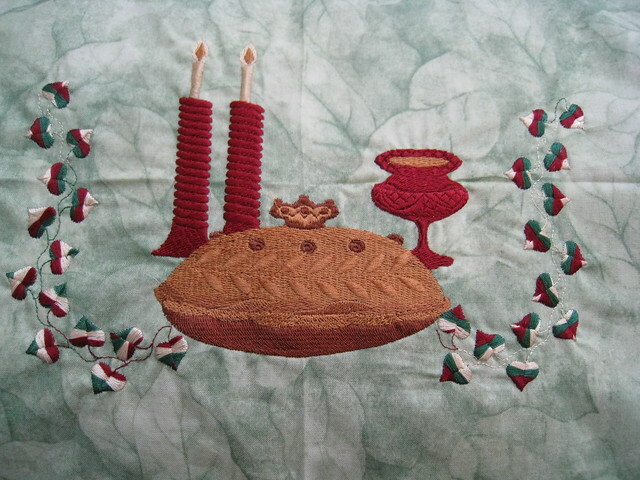 This entry was posted in embroidery and tagged e, embroidery. Bookmark the permalink. 1 Response to Temple Treasures! This intricate work is so beautiful! I can just imagine how much the family and friends will treasure these. How fun to be able to create something that becomes so special to another person.